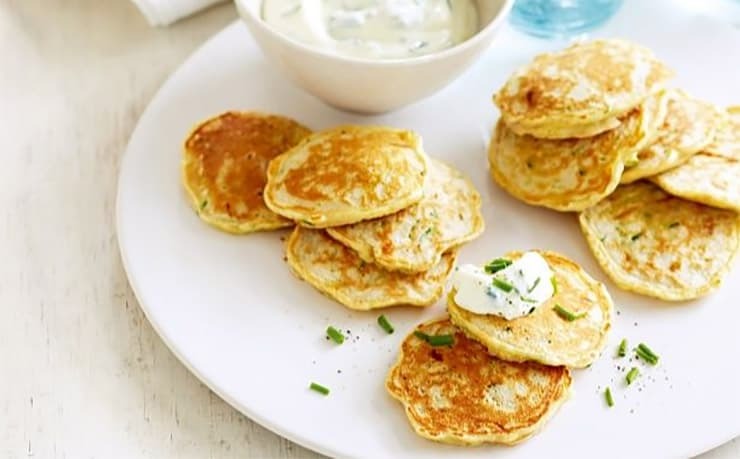 It’s amazing how some simple ingredients combined into lovely pikelets can taste so sensational! Shallots, carrot, and zucchini are cooked together and then combined with some flour, milk, and egg to get a fantastic batter for this lovely recipe. You definitely won’t have to worry about the leftovers with this one! Cook shallots, carrot and zucchini in non stick pan for about five minutes or until shallots are soft. Cool. Sift flours into bowl, stir in milk, egg white and shallot mixture. Drop tablespoons of mixture into heated non stick pan. Cook until bubbles appear. Turn and brown on other side.